This week's page is 'Ivy' by Susan56. I love the old photo and the way she has used muted colours, perfect for the photo. The kits Susan used are, 'Dare to let it Hurt', 'Dare to Create Change' and 'Dare to Be The Real You' all by Angie Young. 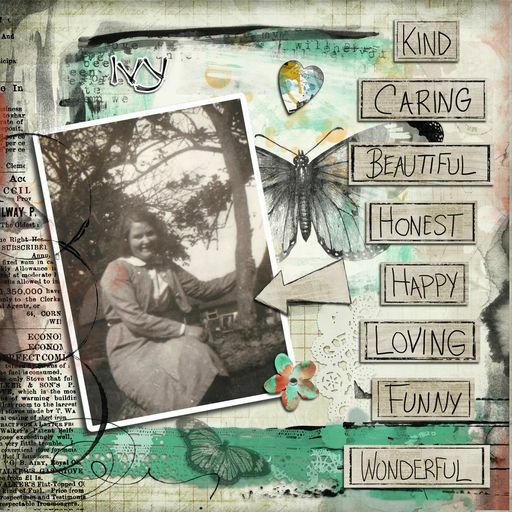 'Cream & Sugar' digi-kit and A New Craft Room!